Eating healthy does not have to taste nasty and bland. 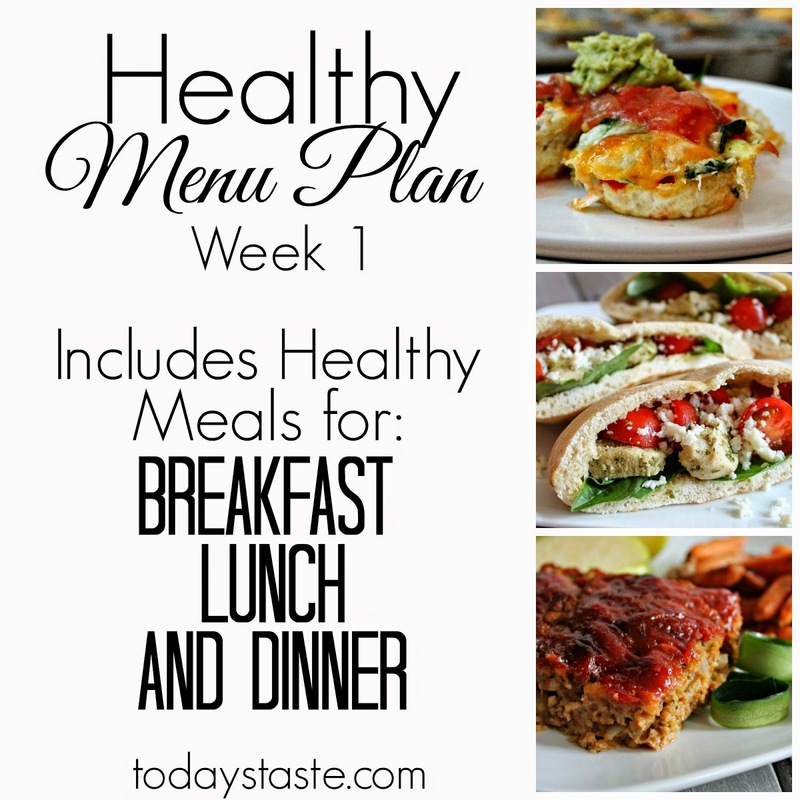 The Weekly Healthy Meal Plan will actually give you real recipes that you can make and still make your healthy goals! I still make sure I get in 3 vegetables and 2 fruits everyday. I love to steam veggies and add a little salt and pepper. If I don't get any veggies in for breakfast I always make sure I get one in for lunch. I end up eating 2 veggies for dinner and the main dish. Hope this helps! Make Healthy taste good! 75 Healthy Snacks Under 100 Calories List. It will help you fight the cravings of eating junk! I love this meal plan!! I love that you have provided all meals.... I will be looking forward to these as soon as we finish out jump start to weight loss with a low calorie diet. I did notice things i would like to see, I suppose you can call them my request... I would love serving sizes as this is my family's weakness. Also side items that go with the main dishes... I am so horrible at putting meals together. One pot meals are what I am best at :/ I am really excited to have found this blog!! Thank you so much Miranda! Next Friday I will add some side dish ideas and try to add some serving sizes! And I am a huge fan of one pot meals also! Thank you for your suggestions!